The legal work is undertaken by the legal practice of Dailly & Co. The Principal Solicitor is a Solicitor Advocate. All income from the legal practice is the property of the charity. 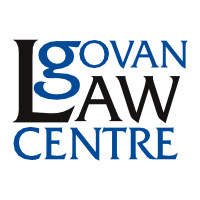 GLC has for the past 8 years had an office situated in Govanhill. This office is situated in one of the most deprived areas in Glasgow and throws up unique challenges due to the large number of the Roma population in Scotland, that have settled there, and the high percentage of private landlords in the area. This results in below standard housing, illegal evictions, rogue landlords and discriminatory treatment of the BME population in housing, employment and provision of support. Between the offices, GLC runs a team of 11 solicitors, 1 trainee and 6 Vulnerable Caseworkers. The dedicated team of solicitors and caseworkers offer a specialized and professional service providing assistance in over 4000 cases per year and over 1750 appearances in courts or tribunal hearings. GLC solicitors regularly contribute to legal publications and take part in national debates on legal reform. GLC is regularly asked to provide evidence at Parliamentary Committees and assist in drafting parliamentary bills.